Wer sich für Englisches Theater interessiert, für den ist der Anlass in Lenzburg gerade richtig. Der folgende Artikel wurde uns zugesandt. Er muss nicht mit der Meinung des Vorstandes oder des Clubs übereinstimmen. Die Aussagen im Artikel wurden keinem Faktencheck unterzogen. Als freies Medium behalten wir uns vor kritische Artikel zu publizieren. Wir gehen davon, dass der Leser sich sein eigenes Bild machen wird und kann. Ursula Riethmüller hat Sonja Wyss für das new look und die Website zwei spannende links zukommen lassen. Wir dürfen diese mit freundlicher Genehmigung der NZZ Redaktion hier publizieren. Kaum etwas symbolisiert Afrika so sehr wie der geheimnisvolle Baobab oder Affenbrotbaum. Er erreicht ein biblisches Alter, seine vitaminreichen Früchte sind heute auch in Europa Kult. Früher diente er auch als Gefängnis oder als Grab. Auch diesen Artikel dürfen wir mit freundlicher Genehmigung der NZZ Redaktion hier publizieren. Seit 50 Jahren herrscht in Botswana Demokratie und wächst der Wohlstand wie nirgends sonst in Afrika – dank Diamanten und gescheiter Politik. Ein Lehrstück über gutes Regieren. Unsere Werbepartner stellen sich vor und offerieren Ihnen sensationelle Angebote. Profitieren Sie und berücksichtigen Sie damit unsere Partner. Hier geht’s zu den Angeboten. Auf der Website gibt es viel neues! Unter dem Titel News ist der Untertitel „Fine Dining“ eingefügt. Da finden Sie Tipps zu Restaurants von Kapstadt und Umgebung welche wir zugesandt bekommen. Melden Sie uns Ihre Lieblingsrestaurants, lohnenswerte und originelle Ausflüge, etc. Gerne nehmen wir diese auf. Bericht und Bilder der 45. Generalversammlung findet man hier. Sollten Sie demnächst ans Kap fliegen oder sind Sie schon dort, so würde sich der Schweizer Club freuen wenn Sie mal rein schauen würden. Die aktuellen Termine des „Swiss Social & Sports Club“ von Cape Town findet man hier. Unter der Rubrik Mitglieder ist die New Look Doppelnummer 134/135 und unter Dokumente das Protokoll der 45. GV nachzulesen. Auf diese Seiten gelangen nur CFS Mitglieder. Gerne dürfen Sie bei uns Mitglied werden. Wir freuen uns auf Sie! Neues von der Wasserfront von der City of Cape Town Administration. Wirklich sehr interessant. Ersieht man doch die Tages- und Wochenaktuellen Wasserstände in den verschiedenen Dämmen aus denen Kapstadt das Wasser bezieht. Egal welcher Damm, sie sind alle trocken. Ein Desaster! Die Cape Town Cycle Tour organisiert seit Jahrzehnten das grösste Radrennen der Welt unter dem Namen Cape Argus. Es nehmen jeweils ca. 35’00 Rennfahrer daran teil. Das heisst mit den Angehörigen sind ca. 80’000 Personen während ca. 3 Tagen zusätzlich zu allen anderen Touristen anwesend. Das stellt die Stadt bezüglich der Wasserknappheit vor sehr grosse Probleme. Lesen Sie dazu den Bericht der Organisatoren. (Cape Town, 29 January 2018) At a press briefing today, Cape Town Cycle Tour Director David Bellairs made the following statement: Before we get to today’s announcement, it is important to stress something that some concerned Capetonians are not aware of: The Cape Town Cycle Tour was established 41 years ago with the sole purpose of raising money for charity. It is not a commercial entity but a not-for-profit Trust and every single cent of the net surplus from the Cape Town Cycle Tour is distributed to the Rotary Club of Claremont and the Pedal Power Association for community upliftment programmes. Over the past 17 years, the Cycle Tour has raised in excess of R109-million for its two beneficiaries. 2018 will see in excess of R10-million distributed to them and numerous charities rely on this source of income. Furthermore, participants use the event as a platform to raise money for other charities which compounds the charitable impact of the event raises. That the Cape Town Cycle Tour (CTCT) also has a positive economic effect on the city cannot be denied. Over R500-million flows into the Western Cape economy during the week of the Cycle Tour. For the last decade, the Cycle Tour has been presented with a variety of challenges – from scorching temperatures exceeding 40 degrees Celcius, to extensive fires raging across the South Peninsula and, last year, winds in excess of 100km/h. This is our year of water – or rather, no water. We have had to reassess the way we do things and seriously consider whether the Cycle Tour should go ahead under the current conditions. We have spent an enormous amount of time considering our options. The decision has not been an easy one to make. 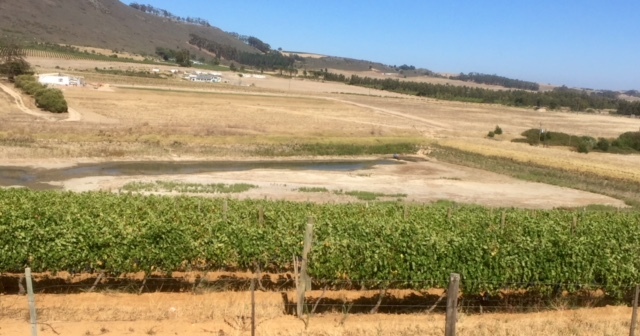 On the one hand we have the needs of the charities we support and the stimulation provided to a Western Cape economy reeling under the effects of the drought. On the other, we are well aware of the very real concerns of the residents of the City of Cape Town, who make up the majority of our riders, the volunteers who help us stage the event, and the incredible supporters who make the event the special day that it is. We have been urgently seeking a way forward that will help us continue to support our beneficiaries, while acknowledging and offsetting the event’s water footprint. The water shortage is beyond a crisis. It is a disaster and should be declared such. Even if we manage to avoid Day Zero, the water shortage is going to have – and is already having – a significant impact on the economy, not just of Cape Town, but the economy of the entire Western Cape and South Africa as a whole. The effects will be felt for a number of years, even if we do receive good rains this winter. So the question is, do we take away the revenue generated by the Cape Town Cycle Tour as well? As we have already communicated, it is our intention that the 2018 Cape Town Cycle Tour event day will draw zero litres of drinking water from the municipal supply. Eliminating the event’s reliance on municipal drinking water will be achieved through a variety of strategies. These include bringing water in from upcountry for drinking and ice on the route, and using locally-produced desalinated water for all cleansing purposes. Water stations along the route will be reduced to the 14 essential from a medical point of view. The majority of Cape Town Cycle Tour participants are resident in Cape Town and surrounds. Approximately 15 000 riders participate in Cycle Tour from outside the borders of the Western Cape, including international entrants. As we have their details on our system, we are able to communicate directly with them to ensure they understand the severity of the drought situation in Cape Town. Those travelling by road to the Cape will be encouraged to bring sufficient drinking water with them for their own daily consumption. We believe we have arrived at a solution that achieves the balancing act we were hoping for – one that takes cognizance of our fellow Capetonians’ concerns, while ensuring that we are still able to hold the event in order to support the charities that rely on the Cycle Tour and to boost the economy of the City of Cape Town at this time of need. After a great deal of thought, and discussion with all stake holders, the Cape Town Cycle Tour Trust agreed that in addition to taking the Tour off the municipal grid, it will offset the water footprint of the estimated 15 000 participants from beyond the Western Cape. As a result, we can confirm that the 2018 Cape Town Cycle Tour will go ahead. It is estimated that visitors coming to Cape Town for the event will use between 1.5-million to 1.750-million litres of water over the duration of their stay. The Cape Town Cycle Tour Trust – who represent our two key beneficiaries – has therefore committed to taking some of the money that would have gone to charitable distribution to purchase an amount of 2-million litres of spring water sourced from only licenced and fully tested suppliers, and from an area not experiencing drought. This water will be put back into the local water grid. We are working closely with the City of Cape Town around the mechanics of how this water will be introduced back into the municipal reticulation system. We are also in the process of rolling out a comprehensive communications plan aimed at both locals and targeting out-of-town participants, making the seriousness of the situation in Cape Town clear and providing information on how we expect riders to behave. We will also ensure our hospitality partners take this even further. It is vitally important that all visiting participants understand the dire situation that exists in the Cape. – All suppliers related to Cycle Tour will be signing service level agreements specifying their usage and where that water comes from, and requiring a commitment to our Water Policy. No suppliers may utilise water for our event that comes directly off the City Grid. – Cycle tour has 360 toilets that are utilised throughout the event. Sanitech is our service provider and all water utilised by them will be greywater, obtained from various treatment plants. – Waterless soap solutions are being provided as opposed to wash basins for handwashing. – We will be monitoring and educating spectators on route to ensure there is no spraying down of cyclists or portable pools in use on event day. – All water ballast previously utilised for weighting down structures has been changed to cement blocks. – All refreshment station water will be privately supplied and will not come from the City water grid. We are also providing clearly marked grey water systems whereby excess water will be put into grey water bins provided and taken to a water treatment plant post Cycle Tour. The Cape Town Cycle Tour will be staged on 11 March 2018, with a new Start at the Grand Parade Precinct. Keep up to date with developments of the Cape Town Cycle Tour.